Servicio Excelente Dejo este comentario para agradecer la profesionalidad y el servicio de la empresa y de los profesionales que nos atendieron. Me puse en contacto con ellos la semana pasada, cuando mi jefe tuvo que hacer un viaje de neg&oacute;cios a Londres. La experiencia fu&eacute; totalmente satisfactoria, vamos a usar EG Chauffeurs para nuestras futuras necesidades laborales y personales de viaje en Inglaterra. Thank you Thank You for listening to what we wanted and creating an amazing itinerary that suited our budget and seeing the best of London. We had a great experience and your bespoke chauffeur was absolutely lovely! We have travelled a lot in Europe but your chauffeur service was on a different level. An excellent service by an excellent staff I have experienced an outstanding service by EG Chauffeurs. High class cars with high skills drivers. In the beginning I hesitated to contact them as a first time client, but now I absolutely will contact them when I will be in London next time, and will absolutely recommend to others. I want to say Thank You to office team, for being so kind, generous and helpful to me during the time my family and I spent in London and for looking after us with their kind and professional chauffeurs. Will definitely be in touch with you next time. Service par excellence EG Executive provide a service that is a cut above the rest. It has proved to be a valuable service that thus far has been flawless. After working with many chauffeur companies we have finally found one that meets the High standards we expect. Eg Executive are punctual, discreet, professional and above all will go above and beyond to help meet our requirements. On a personal level as a CEO who spends three full days a week on the road I am truly impressed and will be working with EG Executive exclusively on a permanent basis. 5 star service First time using this company and I am very impressed !!! The service is second to none and faultless. The attention to detail and forward planning ment I could enjoy the night and be assured the transportation side was all covered. Would use again and would recommend to anyone !!! Remarkable Service for which I am truly grateful... EG Chauffeurs played a pivotal role in making my engagement plans go far more smoothly then I could have ever imagined. Their willingness to go "the extra mile" will always be remembered and appreciated! I would thoroughly recommend them as I will be sure to use them again. Great Service! Very professional and polite chauffeur. Thank you office team for sending me an S Class 2014 as per my request & I was very impressed! Will be in touch very soon for my featured chauffeur needs. Perfect experience from start to finish This company are amongst the best I have worked with. They provided the VIP cars for a high profile fundraising event I organised, and the process was seamless. It meant that I did not have to worry about a thing - which I was extemely greatful for! 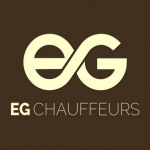 Their communication and customer service is second to none, and Ervin and Andy are absolutely lovely and cannot do enough to help and make the experience with EG Chauffeurs the best it can be. I would reccommend this company to any indivudual or company who want a reliable service of the highest standard. Thank you so much for everything. Excellent I could not have asked for more. On time, superb car and even a hot cup of coffee on pick up after a long flight. I wouldn't hesitate to recommend EG Chauffers again. This is unsolicited feedback which I rarely do - great service. Perfect - Went out of there way on such an important Day - Our Wedding EG Chauffeurs where chosen to move all our wedding guests from Mayfair to the IVY restaurant. The minute I spoke with Ervin I instantly knew this was the company that my Bride and I could entrust on such an important day. As with any Chauffeur co. the most important things you look for is Perfect Timing, Friendly Chauffeurs, Deluxe Fleet and a Personal Service, EG delivered this and more. No doubt in our minds, we would recommend EG Chauffeurs and will be sticking with this company in the future no - reason to look else where. Ervin thank you. Excellent Service by all means. I used eg chauffeurs for airport journey and found them excellent. I highly recommend them for their services. Always happy with EG Chauffeurs I used EG Chauffeurs to transport me to and from Heathrow airport for a recent Business trip. The friendly professional chauffeur turned up on time and the overall service was fantastic. 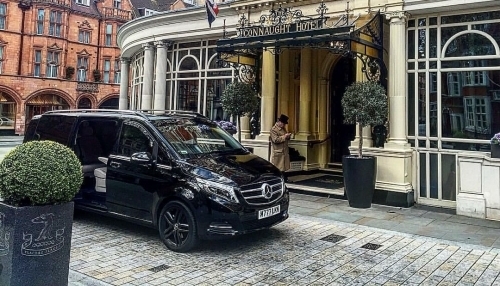 I will definitely use EG Chauffeurs again for my future work and personal travel needs and I would happily advise anyone to use them for your travel needs. The most reliable professional service I have experienced Always on time and professional which is why as a business owner we always use EG executive cars!! We need people we can rely on to get us to where we need to be in style. wedding couple - super happy! Thanks for all your help and expertise on our wedding day!!!! Quite simply the best way to travel! I just cannot recommend EG Chauffeurs highly enough. They have never let me down, always have the most courteous and knowledgeable drivers, and their fleet is truly impressive. Really, if you want the best, there is just no alternative.